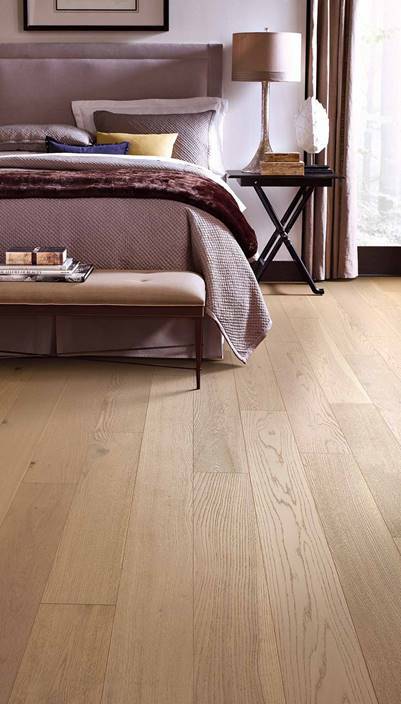 One element of traditional Scandinavian home decor that is still used frequently in New Nordic design is raw, bleached hardwood or wood-look floors. 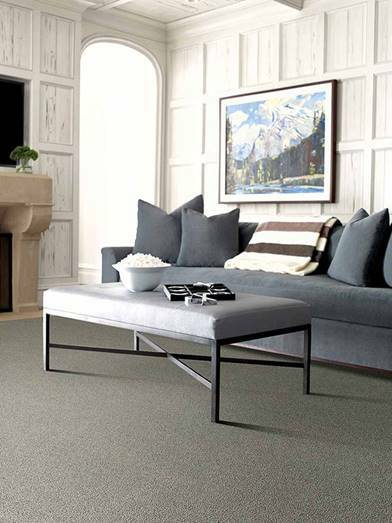 The effect is bright and clean, and neutral enough for you to experiment with a wide range of colours (and even other decor styles as your preferences evolve). One noticeable difference between “New Nordic” design and traditional Scandinavian design is the frequent use of colour. 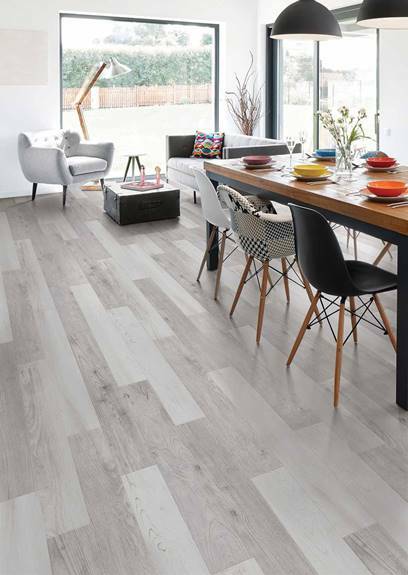 While white is often the dominant colour in Scandinavian design – and still heavily featured in this newer twist – bolder hues are also being used to liven up and add personality to a room. 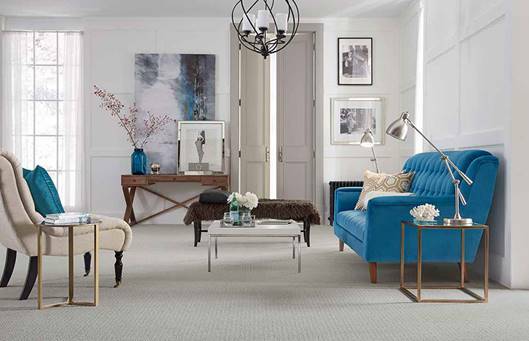 Pops of colour, like red or blue, add dimension and keep the space from feeling flat. Bold colours aren’t the only way to add dimension in a New Nordic design. 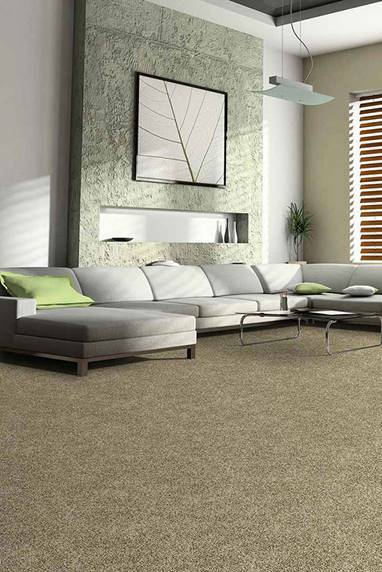 Have fun with your home’s decor by mixing different subtle patterns and textures. Classic hardwood floors alongside more modern materials, like these clear acrylic chairs, gives this kitchen nook a contemporary look and creates the illusion of a more open space. 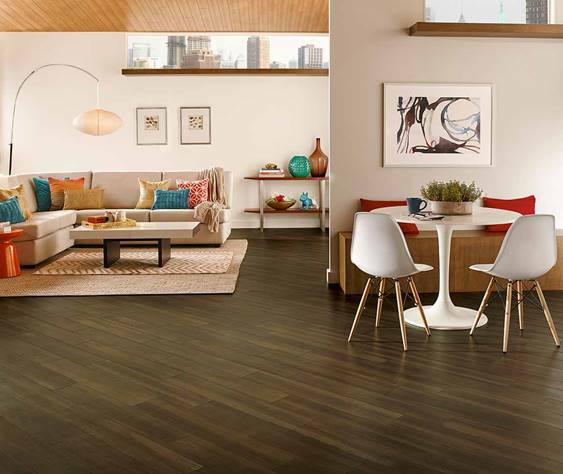 Change up your space with a lighter shade of flooring! 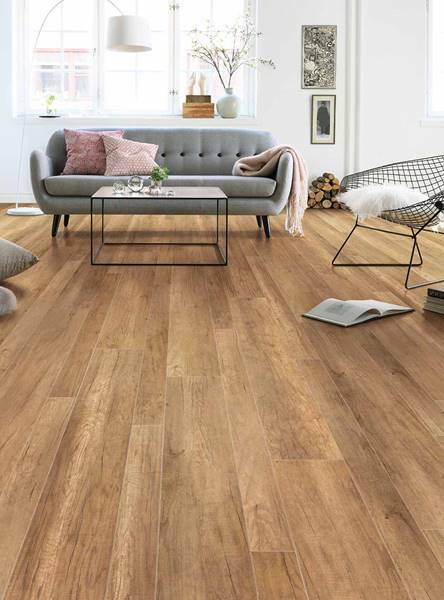 Whether you’re looking for hardwood, laminate, or LVT, interior designers are predicting a shift towards lighter tones in 2019. These hues are versatile and great for any room, be it the bedroom, home office, or kitchen. Going for a bright, airy look? 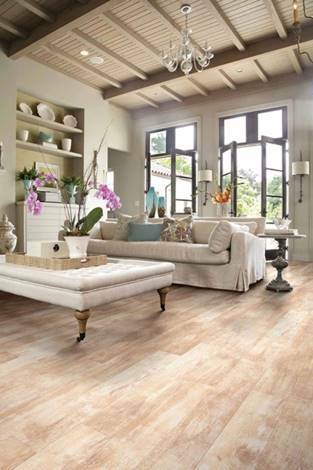 Pair light floors with neutral or pastel coloured walls. If you’re looking to create a more dramatic look, opt for dark, saturated colours for an edgy contrast. 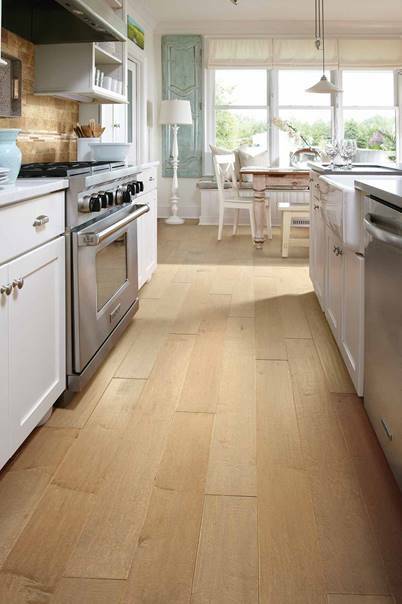 When we talk about light hardwood floors, we aren’t just referring to those warm, yellow and honey tones. 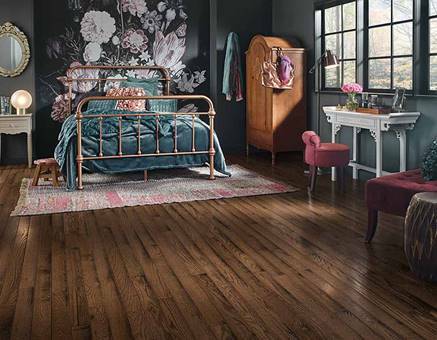 Another option that’s becoming increasingly popular is grey or ash coloured stains. 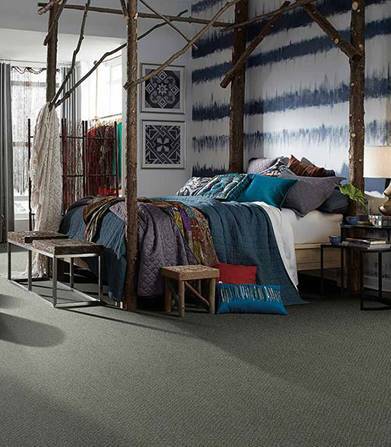 Grey floors create the perfect foundation for vibrant greens, blues, and metallic accents. 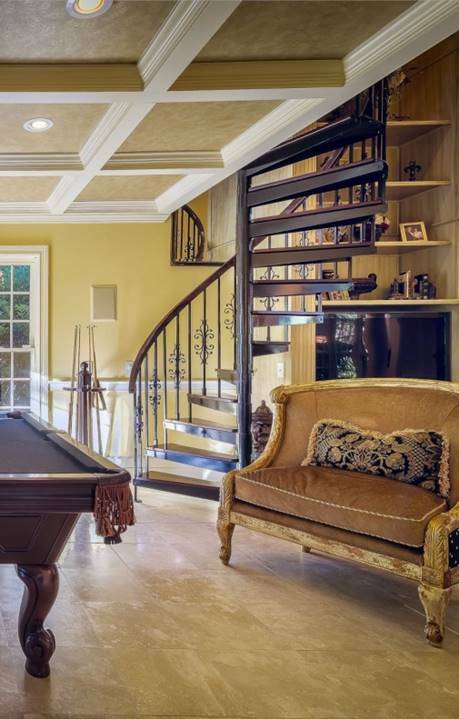 In this living room, the flooring accentuates both the natural and gilded decor. 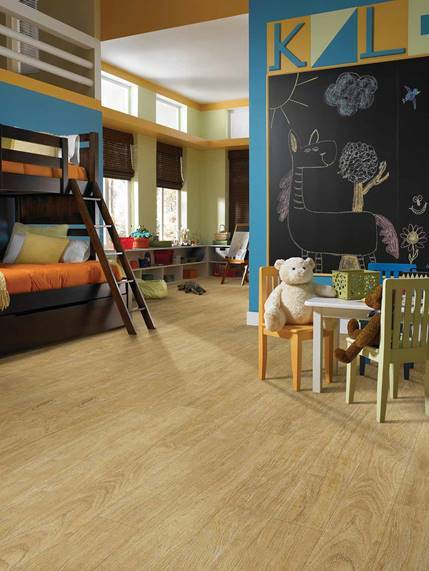 Light wood-look floors are also a great option for kids’ rooms! 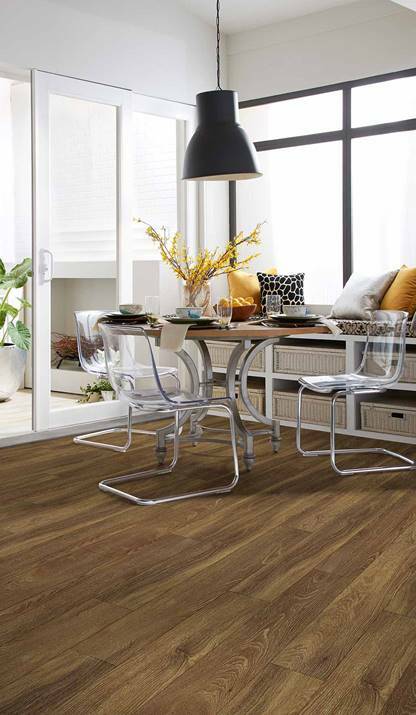 Because light floors tend to be more neutral, they can be paired successfully with bright, primary colours. 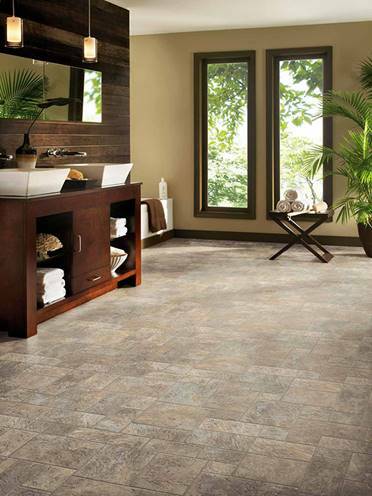 If you have little ones at home, try hard surface flooring and adding an area rug, rather than wall-to-wall carpet. We have an array of luxury vinyl hard surface flooring that may look like hardwood, but are durable enough to withstand heavy foot traffic and messes as your children grow up. 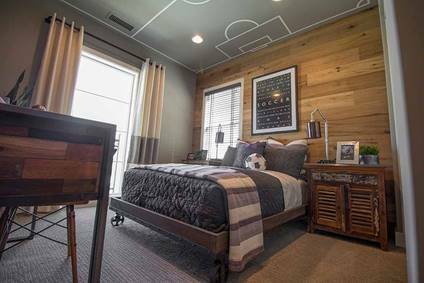 Another great way to create a statement with your ceiling is to paint it a fun colour, or if in a kid’s room, a pattern that matches their favourite hobby or sport. Thanks in part to today’s fabric technology; velvet is no longer reserved solely for luxurious homes, as it has become a more affordable option to all. With more colour choices and a more maintainable fabric, there’s no reason not to incorporate velvet into your home. Velvet is a luxurious and warm fabric that adds considerable depth to a room thanks to its bold, rich colours. 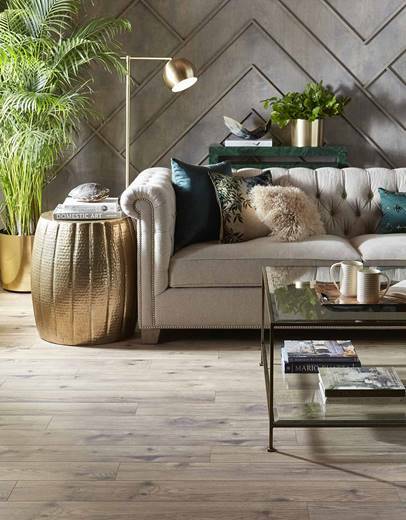 Our favourite way to incorporate velvet into your living room is with a sofa. A velvet sofa in a rich, jewel tone adds such a level of beauty that it truly speaks for itself. Velvet accent chairs, either in your living or dining room are fabulous for packing a punch with a small footprint. Chairs are a great piece of furniture to bring in a bold colour to make a statement. 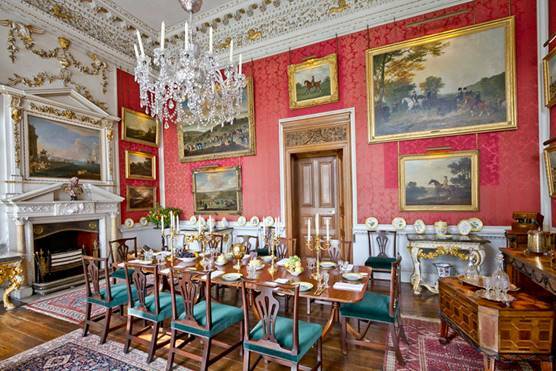 In the case of dining room chairs, a little goes a long way. Gone are the days where wallpaper is considered old-fashioned, bleak, and an eyesore. Thanks to beautiful patterns and colours, wallpaper is trending again in home design. Some wallpaper is actually removable, which makes this a great option for those who are a bit hesitant venturing back into this trend. 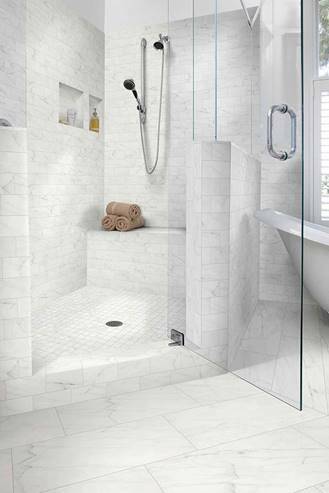 In a small room such as the bathroom, patterned wallpaper can make the space appear larger and also very elegant. 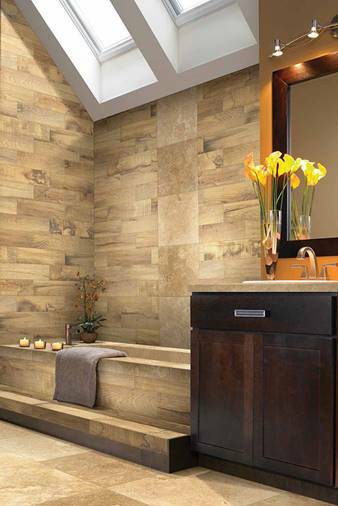 Patterned walls in a smaller space can heighten the impact it has on the space. Not sure where to start? 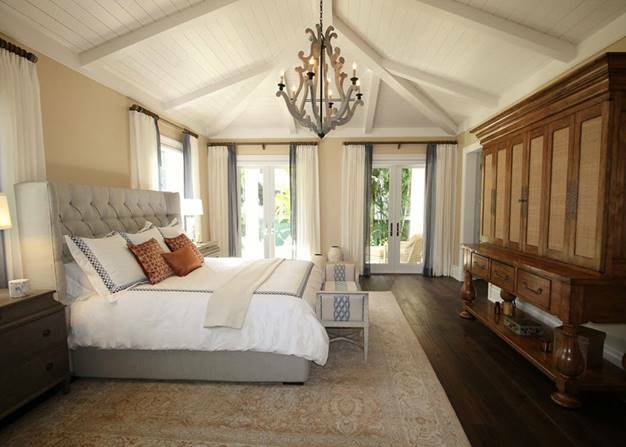 Don’t be afraid to start small with this trend by adding unique lamps, colorful cushions and pillows, curated décor, and furniture with different textures. 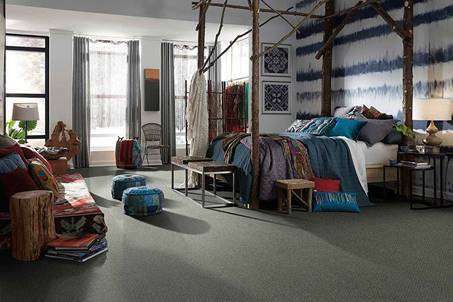 In time you can bring more colours and patterns to your walls, floors, and ceilings. Maximalism is the perfect storyboard to share your life experiences. Are you known for wearing bright pink? Douse your room in the colour. Always wearing cheetah print? Choose artifacts, an ottoman, or wallpaper in this print. 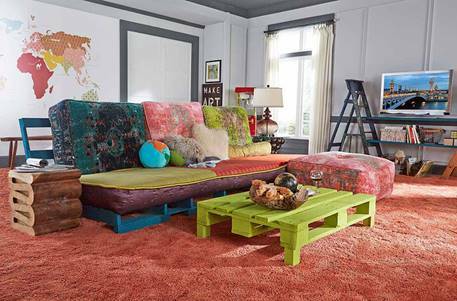 It’s important to note that you don’t need to rely on colour in order to maximalize your space. 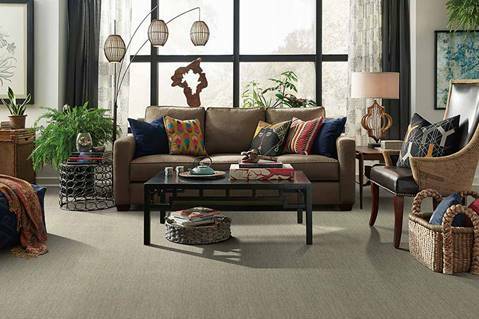 If neutral tones are your style, then place the emphasis on mixing design styles of furniture, texture, patterns, and materials. 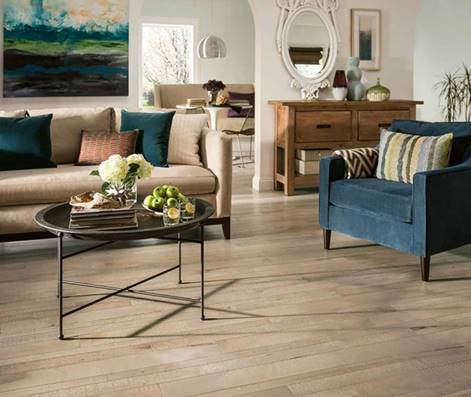 Think wood with metals, contemporary with mid-century modern, velvet with fringe. 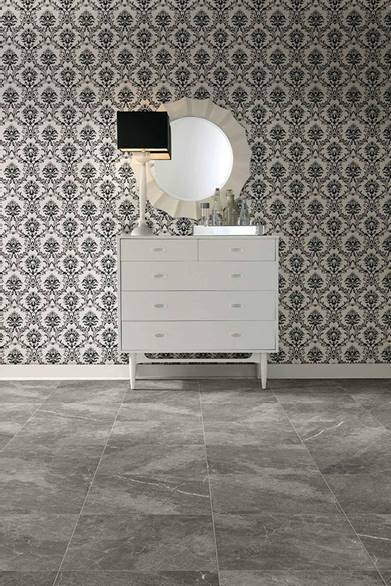 Drama in a small space is a look that we love, and statement wallpaper in the bathroom will do just that. To make an impact, think bright, saturated colours and bold wallpapers. Have fun in this space; it’ll make it easier to wake up!